in 2018 (.doc Microsoft Word format). in Sierra Madre... So Don't Miss Out! All sessions must be attended to receive the CERT certificate. If you can't make one or more of the classes it is possible to take make-up classes in other cities to obtain your certificate. We want as many CERT members as possible in Sierra Madre, but the classes are open to anyone 18 years and older who wants to attend. Sierra Madre CERT is a 501(c)(3) nonprofit organization that is here to serve the community of Sierra Madre and our surrounding neighbors. We operate under the direction of the Sierra Madre Fire Department. or fill out this form to register! 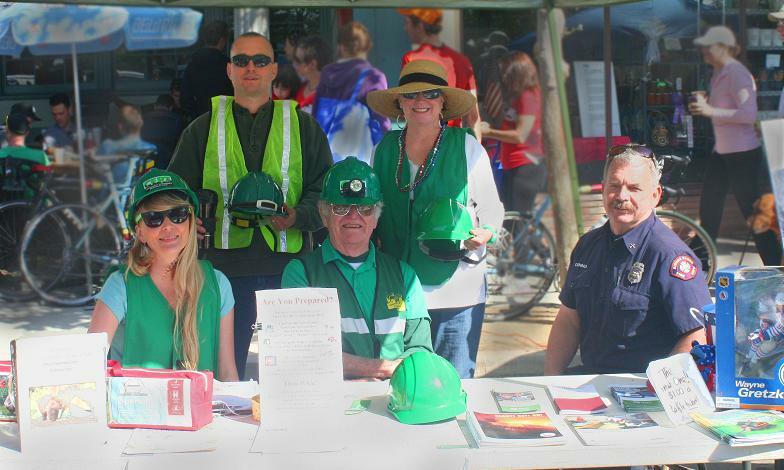 Sierra Madre CERT is your local Community Emergency Response Team. One of our goals is to educate the citizens of Sierra Madre about disaster preparedness for hazards that may impact their area and train them in basic disaster response skills, such as fire safety, light search and rescue, team organization, and disaster medical operations. The purpose of this website is to help facilitate that goal by providing a central source for communication between the citizens and the various emergency services organizations in Sierra Madre. Using the training learned in the classroom and during exercises, CERT members assist others in their neighborhood or workplace following an event when professional responders are not immediately available to help. CERT members support emergency response agencies by taking a more active role in emergency preparedness projects in our community. Local government prepares for everyday emergencies. However, during a disaster, the number and scope of incidents can overwhelm conventional emergency services. The Community Emergency Response Team (CERT) is a training program for all-risks and all-hazards. This valuable course is designed to help you protect yourself, your family and your neighbors in an emergency situation. Well, it’s like paying for car insurance. You might never need either; you’d hope not to. But if the occasion arises, having the CERT training, just like having car insurance, means you’re as ready as you can be to help yourself, your family, your neighbors, coworkers and others nearby. CERT members receive 17 ½ hours (one day a week for seven weeks) of initial training. The 7-week course is followed by refresher drills and ongoing training provided through the Sierra Madre Volunteer Fire Department.